Say what? Clinically proven to increase size? I’d like to see those clinical study results. So I looked for them. Sadly, they don’t exist. Nowhere else on the entire several page Vasoplexx website is a clinical study mentioned. Disappointed, I kept reading up on this stuff to try to figure out what I could really expect to get from using it. What I found was more outlandish promises, most of which lack proof, some of which lack even common sense. It makes your erection bigger. It makes your erection harder. 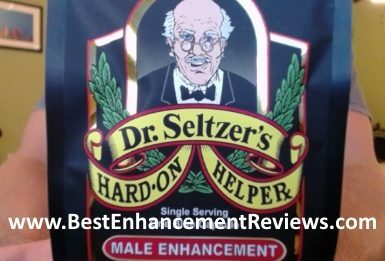 It increases your erection staying power. It increases free testosterone. (They make a quick reference to lab results, but again, they don’t elaborate). It quickens your recovery time so you can go again and again all night long. Now, to be fair, these are the same promises made by most male enhancement supplements. But Vasoplexx even claims to be “the Most Widely Used Male Enhancement Pill” in the world, used by more men than all other pills combined! Where’s the proof? Do they provide sales numbers? Nope. They just make the statement and leave it at that. You may have picked up that I don’t think very highly of the tendency of Vasoplexx to exaggerate its benefits. And that’s true. But ultimately, a sexual performance enhancement pill should enhance your sexual performance. And if it does, then that’s all we really need from it. So next, I took a look a the formula, to see how likely it might be to work. Beet Root which is thought to increase libido. Muira Puama which is another natural aphrodisiac. Arginine AKG which acts as a precursor to nitric oxide. NO improves blood flow by acting as a vasodilator, relaxing the smooth muscle walls of blood vessels and your penile cavities. Better blood flow leads directly to better erections. L-Citrulline which becomes L-Arginine and then nitric oxide. 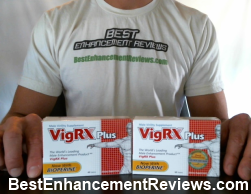 So it works like L-arginine to improve erections, but it lasts longer, almost like time release. Tribulus Terrestris which is thought to increase the body’s natural production of testosterone by increasing the release of Luteinizing Hormone. The LH then signals the testes to produce and release more testosterone. Eurycoma Longifolia which increases free testosterone and boosts stamina. Grape Seed which contains antioxidants to protect the health of cells and tissue. Avena Sativa which may help increase the amount of free testosterone in your system. Maca Root which is a powerful herbal aphrodisiac. Piper Longum which increases blood flow to help supplement the action of the l-arginine. Overall, it’s a pretty typical ingredient list for a sexual enhancement formula. The aphrodisiacs are widely accepted to improve libido and the L-Arginine is known to help erections. But the Vasoplexx people don’t reveal how much of any ingredient is in the formula, so you’re not really sure what you’re getting. Another claim made by Vasoplexx is that there are no side effects at all. They even say it’s fine to take along with your prescription medication. Personally, I find that claim to be irresponsible. No pill can claim to never cause side effects. People have allergies and sensitivities. And whether or not a supplement interferes or reacts badly with a certain medication depends on what that medication is, and should be discussed with your doctor. That said, side effects are probably pretty unlikely. But please consult with your doctor if you take medications. As far as I can tell, you can only buy Vasoplexx online. It’s not available in stores. On the Vasoplexx website, a bottle will cost you $39.99 with discounts for bulk purchases. On Amazon.com, you can get a single bottle for $29.00. There’s a 90-day guarantee on offered through the website. One of the best things about researching a supplement that’s sold on Amazon is that you get to see some real reviews from real customers. It’s true that sometimes Amazon reviews are bought and paid for by the manufacturer of a product, but most a lot of them are real, and if you know what you’re looking for, you can often tell which are which. I could go on, but I think you get the idea. The vast majority of Vasoplexx reviews are just like those. The website tells you what’s in it. They don’t give information on how much of each ingredient is used. They make all kinds of promises that they can’t possibly keep. The website talks about clinical studies, but they don’t actually reference any. The Vasoplexx reviews from customers are really awful. The ingredients in Vasoplexx are similar to what you’ll find in most supplements, but since they don’t reveal the amounts and the reviews are so horrible, they must just use a very small dusting of each. Otherwise, how would you explain how bad it is. Put that together with the over the top and irresponsible promises of no side effects and the non-existent clinical studies they reference, and I don’t see any reason why you would choose Vasoplexx over something more honest and effective.